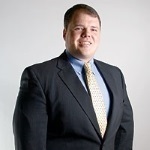 Stephen D. Evans, CFP® is the owner and managing member of Evans Wealth Planning located in Springfield, MO. Stephen has over fifteen years of experience within the financial services industry. He was born and raised in Springfield, MO and attended the University of Missouri. He graduated in 2003 with a Bachelor of Science degree in Personal Financial Planning. Before starting his own business, Evans Wealth Planning, in 2008, Stephen worked for a regional financial firm for several years. Stephen became a CERTIFIED FINANCIAL PLANNER™ professional in the spring of 2010 to better serve his clients. In addition to being a CFP®, Stephen has completed the FINRA Series 7 (General Securities Representative) and Series 66 (Uniform Combinded State Law Exam) licenses, and has licensure for health and life within the state of Missouri. Stephen is also an active member of the Greene County Estate Planning Council, a community of attorneys, CPAs, and Financial Professionals. Stephen is a Registered Representative with Kestra Investment Services, LLC and an Investment Advisor Representative with Kestra Advisory Services, LLC. Stephen is an Alumni of Mizzou in Columbia, Missouri. While attending the University he was a dynamic member of the Financial Planning Club and an avid fan of the Tigers football team. While running his own business, Stephen finds time to volunteer host seminars on wealth management for those in need of assistance. In addition, he regularly hosts and attends educational seminars for other financial professionals in the community. His other philanthropic endeavors include being a Board Member for Champion Athletes of the Ozarks and has a commitment to diabetes research. In January of 2013, Stephen was selected as Springfield Business Journal 40 under 40. He was recognized by a panel of judges as one of 40 top up-and-coming professionals under the age of 40 in the Springfield, Missouri area. Stephen has been quoted numerous times by local publications and news teams, including KOLR 10, KY3, and Springfield Business Journal. "To be able to help people with their finances everyday is an opportunity I never take for granted. I enjoy coming to work every day knowing that I am an integral part of planning for my client's financial futures. Being a business owner in the town where I grew up makes that experience even better. I now have the ability to spend as much time as I want with all my clients as well as finding time to enjoy my family."